Promotional efforts of all kinds can be built upon or enhanced by custom t-shirts. 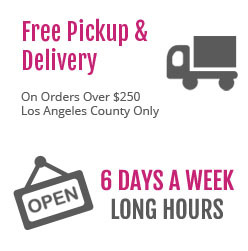 With high-quality materials and plenty of color options, the products of our Los Angeles same day T-shirt printing services broaden the advertising capabilities of bands, businesses and organizations. Customized t-shirts can also be used by consumers for self-expression and other purposes. Thanks to same-day services, clients can get their t-shirts made quickly and begin their next project without delay. Here is more about this service, its applications and the options available for clients. Clients can achieve a wide range of goals through the use of our same day T-shirt printing in Los Angeles. For business promotion, companies can have t-shirts made featuring their logos, trademarks and contact information to gain exposure. The right design can even make business t-shirts trendy, drawing the interest of potential clients and partners to what the company offers. 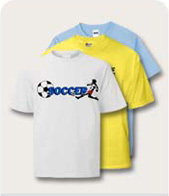 T-shirts also make ideal gifts or commemorative items for consumers. Whether gifted for a holiday or a birthday, a t-shirt is sure to impress and will be treasured long afterwards. Graduations, vacations and other events can benefit from the solidarity that personalized t-shirts foster. Finally, custom t-shirts are valuable commodities that clients can potentially sell for profit. Our shop can print t-shirts in a variety of colors on fabric of different sizes and styles. For every order, clients can specify the number of ink colors they want in their designs. An array of different t-shirt sizes can be printed for the same design, giving clients flexibility when they sell or give away the t-shirts. Our Los Angeles same day T-shirt printing services can use designs created at our office or artwork provided by clients. T-shirt production runs of all sizes can be handled by our same day T-shirt printing in Los Angeles. With the flexibility we provide in design and production, we ensure that clients are unlimited in what they can accomplish with this service. To find out more about our t-shirt printing services and options, clients can contact our same day printing services in Los Angeles online or by phone.